PICKTHAL: When we are dead and have become dust (shall we be brought back again)? That would be a far return! SHAKIR: What! when we are dead and have become dust? That is afar (from probable) return. PICKTHAL: We know that which the earth taketh of them, and with Us is a recording Book. SHAKIR: We know indeed what the earth diminishes of them, and with Us is a writing that preserves. PICKTHAL: Nay, but they have denied the truth when it came unto them, therefor they are now in troubled case. SHAKIR: Nay, they rejected the truth when it came to them, so they are (now) in a state of confusion. PICKTHAL: Have they not then observed the sky above them, how We have constructed it and beautified it, and how there are no rifts therein? PICKTHAL: A vision and a reminder for every penitent slave. SHAKIR: To give sight and as a reminder to every servant who turns frequently (to Allah). YUSUFALI: As sustenance for (Allah's) Servants;- and We give (new) life therewith to land that is dead: Thus will be the Resurrection. PICKTHAL: Provision (made) for men; and therewith We quicken a dead land. Even so will be the resurrection of the dead. SHAKIR: A sustenance for the servants, and We give life thereby to a dead land; thus is the rising. YUSUFALI: The Companions of the Wood, and the People of Tubba'; each one (of them) rejected the messengers, and My warning was duly fulfilled (in them). PICKTHAL: And the dwellers in the wood, and the folk of Tubb'a: every one denied their messengers, therefor My threat took effect. SHAKIR: And the dwellers of the grove and the people of Tuba; all rejected the messengers, so My threat came to pass. YUSUFALI: Were We then weary with the first Creation, that they should be in confused doubt about a new Creation? PICKTHAL: Were We then worn out by the first creation? Yet they are in doubt about a new creation. SHAKIR: Were We then fatigued with the first creation? Yet are they in doubt with regard to a new creation. YUSUFALI: Behold, two (guardian angels) appointed to learn (his doings) learn (and noted them), one sitting on the right and one on the left. SHAKIR: When the two receivers receive, sitting on the right and on the left. YUSUFALI: Not a word does he utter but there is a sentinel by him, ready (to note it). PICKTHAL: He uttereth no word but there is with him an observer ready. SHAKIR: He utters not a word but there is by him a watcher at hand. YUSUFALI: And the stupor of death will bring Truth (before his eyes): "This was the thing which thou wast trying to escape!" PICKTHAL: And the agony of death cometh in truth. (And it is said unto him): This is that which thou wast wont to shun. SHAKIR: And the stupor of death will come in truth; that is what you were trying to escape. YUSUFALI: And the Trumpet shall be blown: that will be the Day whereof Warning (had been given). PICKTHAL: And the trumpet is blown. This is the threatened Day. SHAKIR: And the trumpet shall be blown; that is the day of the threatening. YUSUFALI: And there will come forth every soul: with each will be an (angel) to drive, and an (angel) to bear witness. PICKTHAL: And every soul cometh, along with it a driver and a witness. SHAKIR: And every soul shall come, with it a driver and a witness. YUSUFALI: (It will be said:) "Thou wast heedless of this; now have We removed thy veil, and sharp is thy sight this Day!" PICKTHAL: (And unto the evil-doer it is said): Thou wast in heedlessness of this. Now We have removed from thee thy covering, and piercing is thy sight this day. SHAKIR: Certainly you were heedless of it, but now We have removed from you your veil, so your sight today is sharp. YUSUFALI: And his Companion will say: "Here is (his Record) ready with me!" PICKTHAL: And (unto the evil-doer) his comrade saith: This is that which I have ready (as testimony). 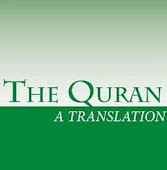 SHAKIR: And his companions shall say: This is what is ready with me. YUSUFALI: "Who set up another god beside Allah: Throw him into a severe penalty." PICKTHAL: Who setteth up another god along with Allah. Do ye twain hurl him to the dreadful doom. SHAKIR: Who sets up another god with Allah, so do cast him into severe chastisement. YUSUFALI: His Companion will say: "Our Lord! I did not make him transgress, but he was (himself) far astray." PICKTHAL: His comrade saith: Our Lord! I did not cause him to rebel, but he was (himself) far gone in error. SHAKIR: His companion will say: Our Lord! I did not lead him into inordinacy but he himself was in a great error. YUSUFALI: He will say: "Dispute not with each other in My Presence: I had already in advance sent you Warning. PICKTHAL: He saith: Contend not in My presence, when I had already proffered unto you the warning. YUSUFALI: "The Word changes not before Me, and I do not the least injustice to My Servants." PICKTHAL: The sentence that cometh from Me cannot be changed, and I am in no wise a tyrant unto the slaves. SHAKIR: My word shall not be changed, nor am I in the least unjust to the servants. YUSUFALI: One Day We will ask Hell, "Art thou filled to the full?" It will say, "Are there any more (to come)?" PICKTHAL: On the day when We say unto hell: Art thou filled? and it saith: Can there be more to come? SHAKIR: On the day that We will say to hell: Are you filled up? And it will say: Are there any more? YUSUFALI: And the Garden will be brought nigh to the Righteous,- no more a thing distant. PICKTHAL: And the Garden is brought nigh for those who kept from evil, no longer distant. PICKTHAL: Who feareth the Beneficent in secret and cometh with a contrite heart. YUSUFALI: "Enter ye therein in Peace and Security; this is a Day of Eternal Life!" PICKTHAL: Enter it in peace. This is the day of immortality. SHAKIR: Enter it in peace, that is the day of abiding. YUSUFALI: There will be for them therein all that they wish,- and more besides in Our Presence. PICKTHAL: There they have all that they desire, and there is more with Us. SHAKIR: They have therein what they wish and with Us is more yet. YUSUFALI: But how many generations before them did We destroy (for their sins),- stronger in power than they? Then did they wander through the land: was there any place of escape (for them)? PICKTHAL: And how many a generation We destroyed before them, who were mightier than these in prowess so that they overran the lands! Had they any place of refuge (when the judgment came)? SHAKIR: And how many a generation did We destroy before them who were mightier in prowess than they, so they went about and about in the lands. Is there a place of refuge? YUSUFALI: Verily in this is a Message for any that has a heart and understanding or who gives ear and earnestly witnesses (the truth). PICKTHAL: Lo! therein verily is a reminder for him who hath a heart, or giveth ear with full intelligence. SHAKIR: Most surely there is a reminder in this for him who has a heart or he gives ear and is a witness. YUSUFALI: We created the heavens and the earth and all between them in Six Days, nor did any sense of weariness touch Us. PICKTHAL: And verily We created the heavens and the earth, and all that is between them, in six Days, and naught of weariness touched Us. SHAKIR: And certainly We created the heavens and the earth and what is between them in six periods and there touched Us not any fatigue. YUSUFALI: Bear, then, with patience, all that they say, and celebrate the praises of thy Lord, before the rising of the sun and before (its) setting. SHAKIR: Therefore be patient of what they say, and sing the praise of your Lord before the rising of the sun and before the setting. YUSUFALI: And during part of the night, (also,) celebrate His praises, and (so likewise) after the postures of adoration. PICKTHAL: And in the night-time hymn His praise, and after the (prescribed) prostrations. SHAKIR: And glorify Him in the night and after the prayers. YUSUFALI: The Day when they will hear a (mighty) Blast in (very) truth: that will be the Day of Resurrection. PICKTHAL: The day when they will hear the (Awful) Cry in truth. That is the day of coming forth (from the graves). SHAKIR: The day when they shall hear the cry in truth; that is the day of coming forth. PICKTHAL: Lo! We it is Who quicken and give death, and unto Us is the journeying. YUSUFALI: The Day when the Earth will be rent asunder, from (men) hurrying out: that will be a gathering together,- quite easy for Us. PICKTHAL: On the day when the earth splitteth asunder from them, hastening forth (they come). That is a gathering easy for Us (to make). SHAKIR: The day on which the earth shall cleave asunder under them, they will make haste; that is a gathering together easy to Us. YUSUFALI: We know best what they say; and thou art not one to overawe them by force. So admonish with the Qur'an such as fear My Warning! PICKTHAL: We are Best Aware of what they say, and thou (O Muhammad) art in no wise a compeller over them. But warn by the Qur'an him who feareth My threat. SHAKIR: We know best what they say, and you are not one to compel them; therefore remind him by means of the Quran who fears My threat.